Give your 2WD a lift with Pro Comp 2WD suspension lift kits. 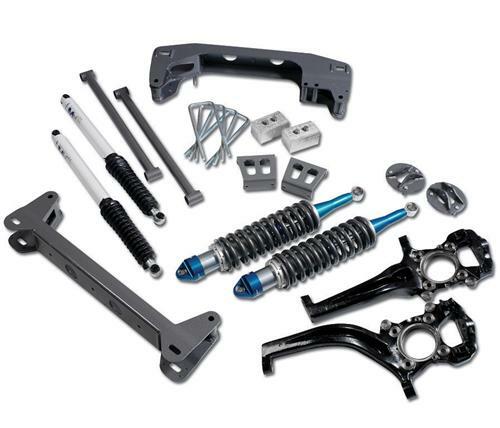 Why bother putting a suspension system together yourself, when you can get the perfect off-road suspension system already packaged together for you Pro Comp 2WD suspension lift kits provide a smooth, comfortable ride, while responding to off-road conditions. Pro Comp 2WD suspension lift kits help you get the right height, clearance, and attitude on your truck, and maintain that "factory" ride quality, while improving handling. 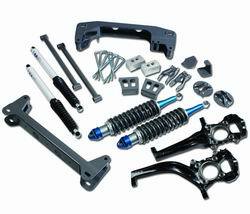 Pro Comp 2WD suspension lift kits add anywhere from 1 to 7 in. of lift, depending upon the application, and come with all of the necessary mounting hardware and detailed instructions. Stage I and Stage II kits are available, depending upon your application.